Through a special partnership with ABC Television Network in the USA and as part of ABC’s Vision and Values Series, Salt and Light Catholic Media Foundation is pleased to announce that a new Knights of Columbus produced documentary Guadalupe: The Miracle and the Message will begin airing on S+L on Saturday, December 12, 2015 at 9 pm ET/ 6:00 pm PT. Narrated by actor Jim Caviezel, Guadalupe: The Miracle and the Message paints a comprehensive and inspiring picture of the history, facts, legacy and continued relevance of Our Lady of Guadalupe throughout the western hemisphere and beyond. Over the course of four days in December 1531, the Virgin Mary appeared to an indigenous convert named Juan Diego. Most experts and historians affirm that more than any other, this event, and the image miraculously imprinted on Juan Diego’s tilma (cloak), has resulted in the mass conversion of millions of Native Americans to the Catholic faith. The message of Our Lady of Guadalupe helped to build bridges between the two worlds and began the transformation of our continent. Her appearance compelled people and cultures to unite under her mantle of compassion and charity in a way that did not exist before. Through her intercession, then and now, Americans have found a deep sense of common faith, hope and identity. Guadalupe: The Miracle and the Message brings this remarkable history to life through modern reenactments, 3D animations of the mysterious image giving an unprecedented glimpse into the intricacies of the centuries-old wonder. 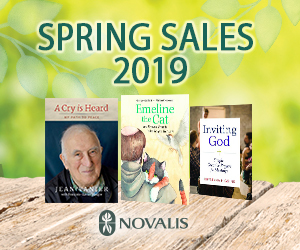 Featuring interviews with leading theologians, historians and experts on the scientific inquiries into this miraculous event. The film delves into the inexplicable existence of the image on Juan Diego’s tilma, the mystery found in her eyes and unveils breaking new anthropological insights into the symbols that spoke directly to the hearts of the indigenous people. For more information about the film, including broadcast times and the DVD release, visit www.guadalupethefilm.com or follow the hashtag #guadalupethefilm. 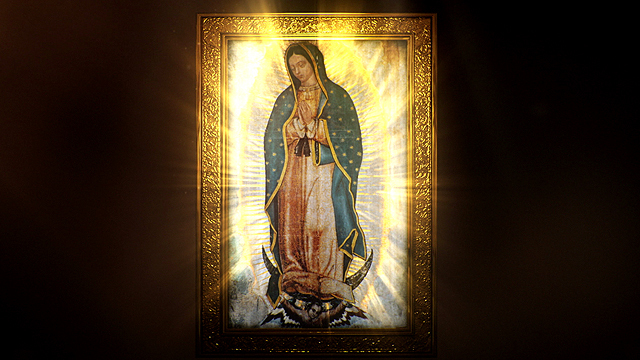 Guadalupe: The Miracle and the Message will air on S+L TV on Saturday, December 12, 2015 at 9 pm ET/ 6:00 pm PT. You can also watch it online at that time on the S+L TV live stream here or you can purchase the DVD on our online store here. Also on December 10th, Noel Ocol had a chance to talk with David Naglieri, the writer and director of the film about the message of the Guadalupe story he wanted to bring to the audience.